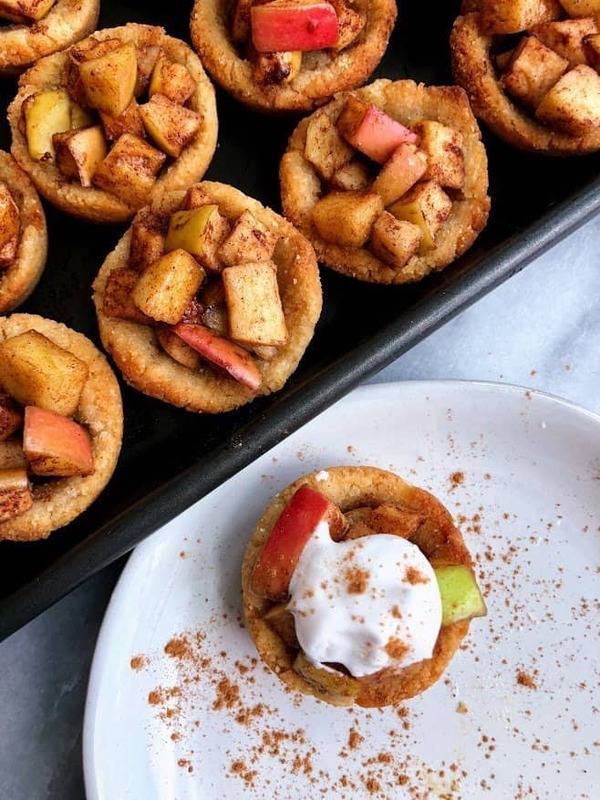 These healthy mini apple pies are made from wholesome natural ingredients like apples, almond flour, and coconut sugar. 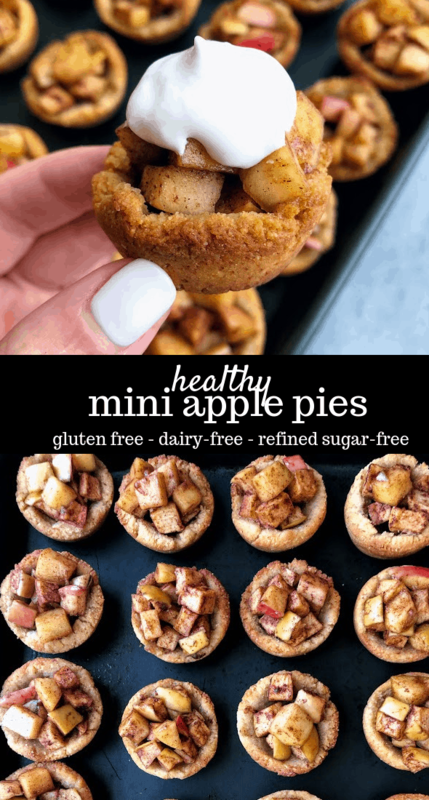 They are gluten free and dairy free, and they taste like fall in a little mini pie! When I started to think about fall recipes and what I was going to make this year, I knew one thing had to be on my list. 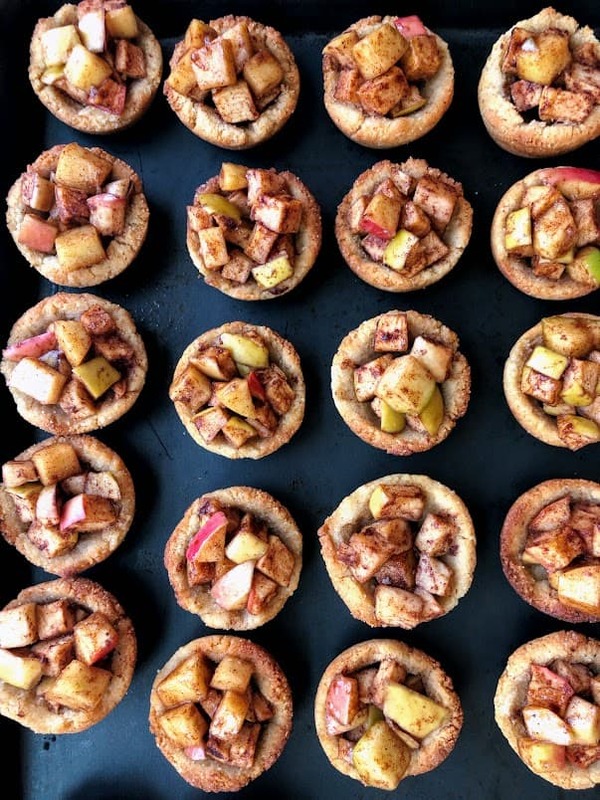 Enter, healthy mini apple pies. I grew up in a house where apple pie was taken so very seriously, where crust was made from crisco and white flour, where the filling was laden with white sugar and butter. No one in the world could beat my grandmother’s recipe for her apple pie. It was and always will be the best apple pie I’ve ever tasted! But in an effort to try to recreate that flaky crust and that ooey-gooey inside in a slightly healthier way, I decided to tackle it in a miniature version first. Speaking of which, what is your favorite pie? On Thanksgiving we always have both apple and pumpkin, and sometimes a pecan pie even shows up, but I always go for the apple pie with a big ol’ scoop of vanilla ice cream (as if there is any other way). I’ve never been a big pumpkin pie person, but I do love all things flavored pumpkin pie. Is that weird? Gimme pumpkin pie flavored doughnuts or pumpkin pie flavored ice cream and I’m all about it, just don’t give me any of the actual pumpkin pie. I want apple all day, every day please! 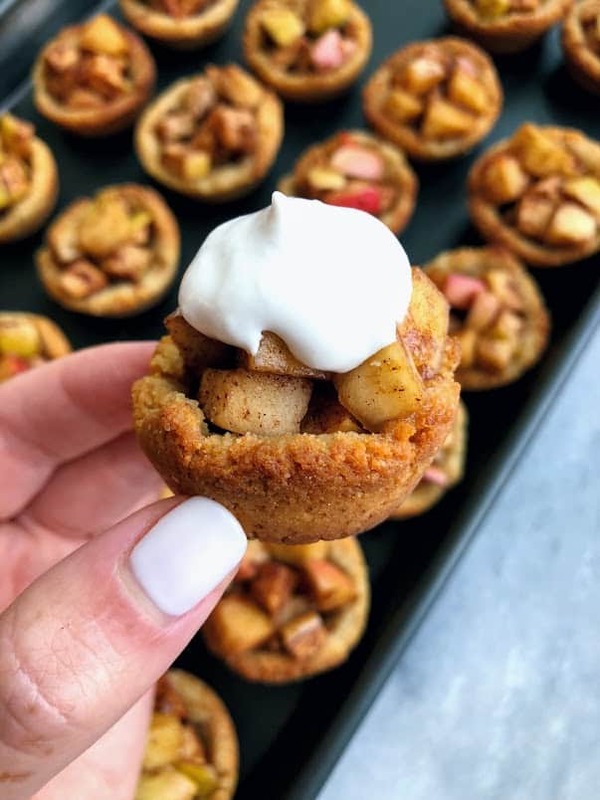 So with that being said, I created these healthy mini apple pies with a completely gluten free and dairy free crust, with no refined sugar (only natural sugar, please! ), and in a pop-able size, which makes them perfect for snacking or sharing with a group! 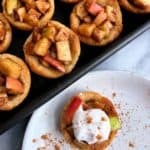 I’m so excited to see how many of you make these little apple pies and hope you enjoy them as we dive into the cooler temperatures! And oh, top them with ice cream or coconut whipped cream like I did here! Preheat oven to 325F. Prepare muffin tin by greasing. Press 1-2 Tbsp dough into small muffin pan being sure you create a dent in the middle. 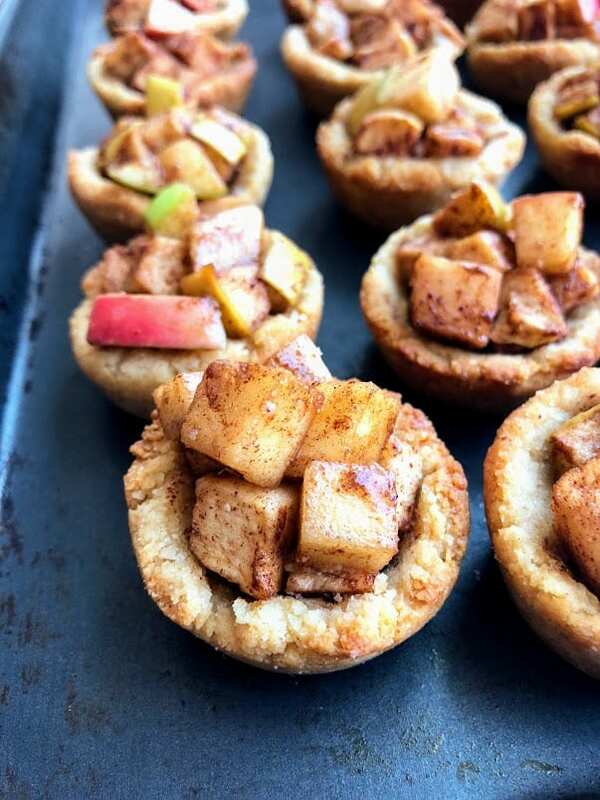 While crusts baking, combine apples, sugar, and spices. Stir and divide among crust cups. Store in refrigerator if not enjoying immediately. Pro tip: use any leftover apple filling on oats! Can you make the crust ahead of time and leave in the fridge or on the counter top for a day or 2? Yes! Just leave on the counter – might get a little soggy in the fridge. Other than apples what else would be good in these?